And for every GenX-er, I apologize that “Living on a Prayer” is now in your head. It’s been a long week. AVNation is situated with our friends HDBaseT in Hall 5 this week. Hall 5 is next to Hall 1 (don’t ask, I didn’t setup the numbering system of ISE). Hall 1 is where Epson is located so I’ve seen plenty of this Visual Vortex. If you haven’t noticed on social media or elsewhere, the proper name is the “Interactive Vortex”. The setup includes 8 pair of stacked laser projectors, What makes it “interactive” is the colors and waves change as you walk through the space and as music is played through the space. Always a great place for incredible sound, Meyer Sound highlights their IntelligentDC with a wall of sound. The UPM line has the Meyer Sound that is unmatched. You get to choose between four seperate coverage patterns. 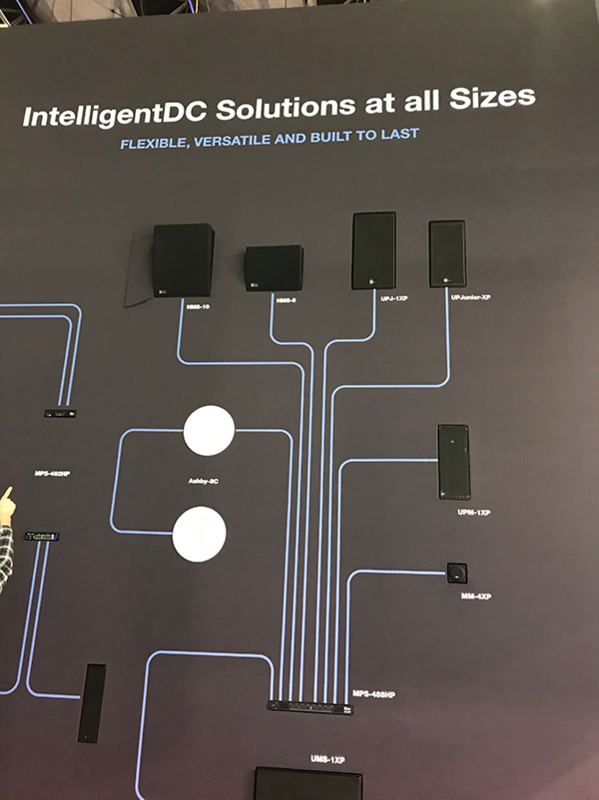 The IntelligentDC technology provides power as well as the audio signal over a single cable. Once again the Utah-based company gathered their fans and friends together in Amsterdam to celebrate year of growth. On Tuesday, Control4 reported earnings growth. At the Tobacco Theater, what felt like 10,000 Control4 partners and friends danced the night away. 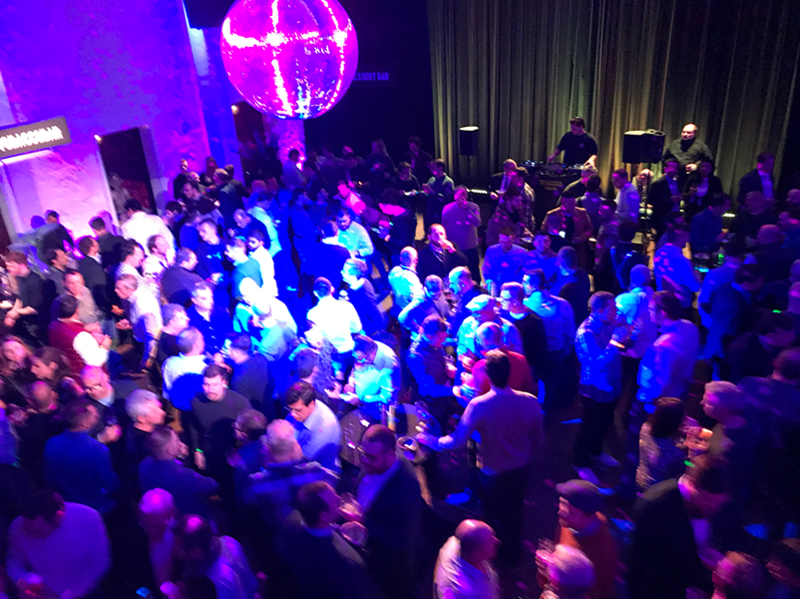 As we enter our final day here at ISE 2019 a few observations. The first is the sheer size and scope of this show. I was interviewed by MarketScale reporter Tyler Kern. This was Tyler’s first year covering ISE and seeing the show for the first time again through his eyes was a great reminder of the impact the various halls, exhibitors, and crowds have on a newbie. The other is the readiness of most manufacturers to grow into a new space. It will be another two years before ISE moves to Barcelona, but exhibitors are feeling the press of space constraints. That will be rectified once the show moves into its new 400,000 square meter home. We are hitting the show floor once more. I’m hosting a panel on AV network security at 3 pm on the main stage if you are still here. If not, look for AVWeek from the ISE show floor that will post on Monday.